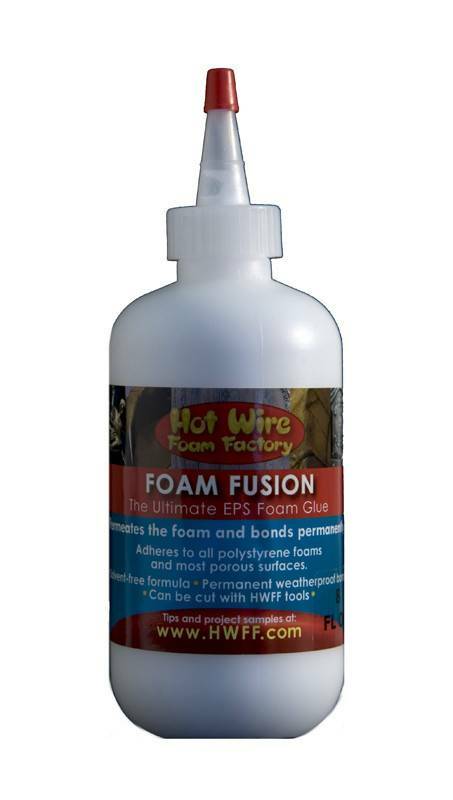 Our Foam Fusion is the ultimate EPS foam glue! It permeates the foam and bonds around its cells. Other glues containing solvents will dissolve foam over time, but our formula is solvent-free. Our glue is not affected by heat or cold as with glue guns. It works with most rigid foams including Styrofoam, and many soft foams. Foam Fusion bonds foam to almost any porous surface and is easy to apply - simply squeeze or brush on. Plus, Hot Wire Foam Factory tools will cut through this glue.